Yama is the first limb of the eightfold path for Yogis as described in The Yoga Sutras of Patanjali written prior to 450 A.D. and is the foundational text of classical Yoga philosophy then and today. There are five Yamas which serve as a prescription for moral and ethical conduct for the practicing Yogi. Generally, Westerners tend to be drawn to only one or two limbs of yoga…. mostly, the Asanas (the physical postures in yoga) and the Pranayama (the breathing techniques used in yoga). At SOL Yoga studio, our yoga teachers have received training in all of the 8 limbs of Yoga and our mission is to pass on to our Yoga Students the true essence of yoga in each class we offer. 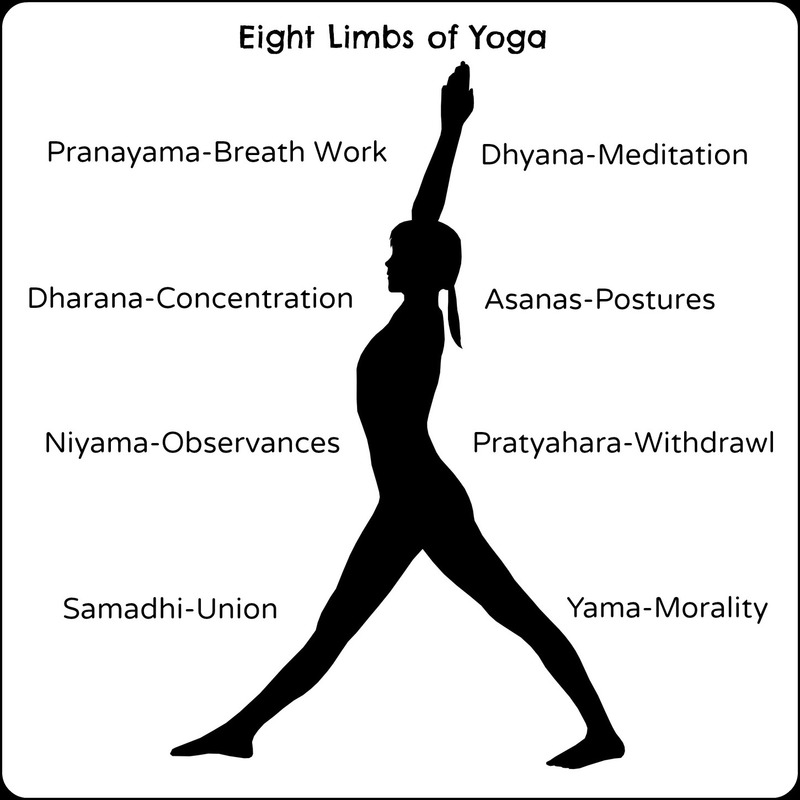 This month our dharma (purpose) is to guide you and bring awareness to Yama: the first limb of Yoga. Each teacher will be incorporating different characteristics of the 5 Yamas to achieve balance and well-being on and off the yoga mat. Ahimsa (non-violence), Satya (truth), Asteya (non-stealing), Brahmacharya (continence) and Aparigraha (non-coveting). We are instructed to avoid violence, lying, stealing, wasting energy and possessiveness. The benefits of studying the Yamas in more detail helps us to bring awareness to how our actions affect ourselves, as well as, others. “Practice, practice and all is coming” doesn’t only refer to our physical yoga practice, it also refers to how we interact within our community and our society. When our actions and choices “do no harm” to ourselves or others this is practicing Ahimsa, non-violence. One way we practice Ahimsa is being compassionate to all living beings which creates an attitude of peacefulness and positivity. In it’s purest form, ahimsa, is the truest expression of unconditional love. This implies that we cease all hostilities choosing harmony and peace instead. Taking the high road as they say for the greater good when possible. Ahimsa in relation to our diet for many Yogi’s means being a vegetarian but that doesn’t mean that dietary choice is for everyone. Whether you choose to eat animal products, or not is a personal choice. Consider eating organically to limit the harm of pesticides. Consider eating a vegetarian meal a few times a week. Choose environmentally friendly household products to eliminate harmful chemicals in your home. Practicing Ahimsa of the mind by letting go of negative thoughts and letting go of negative emotions such as jealousy, resentment, and anger. When we pay attention to our thoughts and our actions we can find many ways to practice Ahimsa. Being committed to truthfulness is Satya. The word “sat” in Sanskrit translates to “true nature”. There are many levels to truthfulness including one’s thoughts, speech and actions. Sometimes our past experiences cloud our judgement and alter our truth and it is quite challenging to practice staying open to the truth in the present tense. It takes a lot of self inquiry to let go of old thought patterns or past experiences that may be keeping us from finding the unwavering truth in the present moment. In our yoga practice, we take time to sit with ourselves and find stillness of the body and mind. This allows us to create the space we need to turn inward and experience truth from a place of openness instead of a place of defensiveness or fear. Cultivating the yama of non-stealing requires us to take a subtle look at the idea of stealing. Asteya reminds us to respect our time and the time of others. All we have is today since tomorrow is never promised to anyone. When we say we will do something then we show up and do it. When we have a meeting at a specific time, we honor it and show respect to those involved by being on time. On our yoga mat, we let go of the need to compare our practice to others because it only serves to steal our joy. Through the practice of yoga, we learn to avoid living in the past or wishing for the future, instead we focus on being aware of the present moment in any given situation. Brahmacharya translates into the “right use of energy” and challenges us to use our energy wisely and direct our energy towards peace and harmony within ourselves. Taking time to think about how we use our energy and learning to listen to what our body needs in order to maintain overall health and well-being. Our yoga practice helps us to balance our energy in ways that boost our immune system and increase our vitality, the power giving continuance of life, present in all living things. Lastly, to be free from hoarding is Aparigraha. Just as one should not steal or take things one does not really need, so one should not hoard or collect things one does not require. Neither should one take anything without working for it, for this indicates poverty of spirit. Aparigraha often translates in Sanskrit to “non-greed”, ‘non-possessiveness” and “non-attachment”. The Yogi believes the collection of hoarding implies the lack of faith in God and in oneself to provide. By the observance of Aparigraha, the yogi makes life as simple as possible and trains the mind not to feel the loss or the lack of anything. Take only what you need and let go of what you do not need. Again, it is important to draw your attention to the Yamas in a more subtle context. Let go of your worry as it will not add one day to your life. Practice yoga for the sake of practicing, do your best to let go of the outcome or achieving a certain pose. Simply come to your yoga mat without expectation just breathing, moving your body and being aware of all the sensations as they arise. If we practice without forcing, without judgement and without attachment the body will unfold naturally and the beauty of the yoga practice will be evident each and every time you come to your mat. In daily life, one way Aparigraha can be practiced is by taking time to reflect on all of your possessions and consider how it might be beneficial to let go of some of the things you no longer use or need and pass them on to someone who may benefit from them and begin moving towards a less cluttered home and life. In regards to our diet, consider eating moderately to avoid over-eating as a hindrance in your yoga practice and your overall health. Lastly, learning to live in the moment and not clinging to attachments, learning to be okay with whatever we are experiencing without trying to push your emotions away or clinging too much to something or someone. Allowing things to be as they are, knowing that all things shall pass in their own time and knowing that we should be open to the light and the dark and allowing ourselves the freedom of our experiences to be the observer of all that is happening internally and externally. Acknowledging that change is the only thing that is constant in life allows us to let things come and go without possessiveness.